Sara Guest House in Candolim Beach, Goa is one of the exquisite hotels that you can choose while your stay in Goa. The best part of the hotel is its location. The hotel is very near to Candolim Beach and you can just walk it off. The rooms available in the hotel are spacious and some rooms are available with a mesmerizing sea facing view. The restaurant attached to the hotel serves good and tasty food. Other facilities available to this hotel are really useful for residents. The staffs of the hotel are polite and the room service is decent. Make your visit suitable to your interest, use Calangute trip planner for personalization. 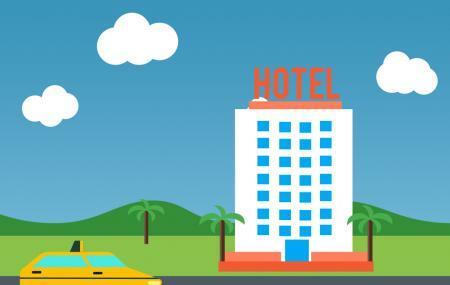 Add comfortable hotels to your plan, choose from the recommended hotels in Calangute like Treebo Jesant Valley Holiday Homes, Hotel Seagull and Cygnett Inn Celestiial. There are plenty of ready-to-book Calangute vacation packages available that will cover the major attractions, accommodation concerns including the prime one like how to reach Calangute. Reasonable prices when compared to other lodge. Cleanliness needed. Nice service.Manager is good.Daily cleaning.Big room space . Balcony available, Maintain rooms with ac , fridge , heater, tv .Near by Calangute beach.parking available for bike but conjested for 4 wheeler.Ground floor shopping market for any item.Lot of hotels on that road. Vegetarian hotel Shrikrishna behind the guest house.